Organised criminal gangs involved in property fraud are believed to have stolen millions of pounds by hacking into the email accounts of people who are buying or selling their houses. The Land Registry’s fraud line has received over 3000 calls and emails since it was launched three years ago. Property fraud can happen in many ways. Fraudsters may attempt to acquire ownership of a property either by using a forged document to transfer it into their own name, or by impersonating the registered owner. Once they have raised money by mortgaging the property without the owner’s knowledge, they disappear without making repayments leaving the owner to deal with the consequences. If a property is registered at the Land Registry, all deeds are stored electronically, so a criminal only needs to prove that he is the seller, and using ID fraud, he or she may be successful in selling someone else’s property without their knowledge. If a property is not registered, then deeds would have to be produced, which would make it more difficult, but not impossible for the fraudster. Particular groups of people seem to be more at risk, such as elderly people who are in care and leaving their home unoccupied, people spending large amounts of time abroad, landlords who let out properties and don’t spend any time there, people who have vacated their homes prior to selling, owners who have no mortgage on their property and properties that are not registered at the Land Registry. So what can you do to protect yourself and your property? 1) Sign up free to the Land Registry’s website (https://propertyalert.landregistry.gov.uk/) to get property alerts which will let you know if someone applies to change the register on your property. 2) Register your property with the Land Registry. Although this means that deeds would not need to be produced upon sale, it at least offers certainty as to who owns the property and could provide you with compensation if you are the victim of fraud. 3) Add a restriction to your title (known as a form RQ for individuals or Form RQ(Co) for companies). The restriction is designed to help safeguard against forgery by requiring a conveyancer (for example a solicitor) to certify they are satisfied that the person transferring or mortgaging the property is the same person as the owner. It is free for owners not living at the property and provides an additional safeguard against forgery by operating as a deterrent. Owner occupiers can apply for a similar restriction (known as an RX1 Form) for a £40 fee. 4) Check that your contact details at the Land Registry are up-to-date on all properties that you own. You can have up to three addresses on the register providing more opportunities of getting in touch with you, should the need arise. If you are looking for commercial property law advice, please contact Daldeep Jaswal on djaswal@bussmurton.co.uk or 01892 502 324. 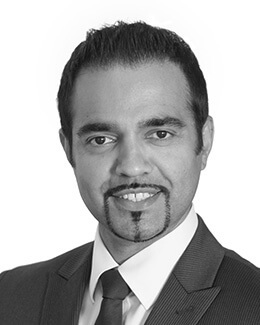 After obtaining an LLB honours degree in Law at the University of Kent at Canterbury in 2000 and successfully completing the Legal Practice Course at the College of Law in London, Daldeep (known as ‘Dal’) joined Buss Murton in September 2001 as a Trainee Solicitor and qualified in 2003. At the age of 25, Dal set up Buss Murton’s first standalone Commercial Property Department. Three years later he became one of the youngest Solicitors to be appointed Partner at Buss Murton. Dal is now the Partner in charge of the Property Department across its four offices, the firm’s Senior Responsible Officer for its Conveyancing Quality Scheme accreditation and he is also the Training Supervisor for the firm’s Trainee Solicitors. Dal specialises in advising commercial clients on their property needs, in particular, landlords, tenants, developers and financiers. BREXIT: What Does the Future Hold for the Property Market? You can also contact individual team members directly by phone or email by clicking on our People page.